Slot games are surrounded by many myths that are unfortunately sometimes considered as true facts about the game. We are going to list the most common and widespread slots myths that will help you avoid most common mistakes during the game. MYTH #1: Slot machines can be Hot and Cold. FACT: Slot machine results do not depend on the previous payouts. This is probably one of the most widespread and the most ridiculous gambling myths. This myth states that if the machine has not paid out for a long time, it has become hot and the probability of hitting a big win in the next few spins is very high. And vice versa, when the slot machine has just paid out jackpot, it probably will not pay out for quite a long now. This myth is untrue because all slot machines use a RNG and all the results are always totally random. MYTH #2:If you figure out the pay cycle of a machine you can beat it. FACT:There are no any patterns and cycles in slot games. Cycles cannot be predicted in any way, as the game is totally random and the next payout does not depend on the previous one. So, when you hear that someone is trying to track the slot cycles, it is only a myth. MYTH #3:There is a magic system to beat slots. FACT:The only way to improve slot results is to manage the bankroll and play loose machines. There can be no system to return more money than the machine has been programmed to pay back as winnings and the player's odds cannot be increased by any method or technique. You have to look for loose machines that pay more than 90%. MYTH #4:When playing online you're better to pull a lever than press a button. 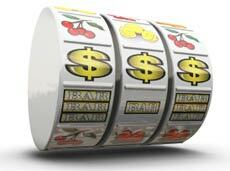 FACT:All slot machines, whether online or offline, are based on the same principle of generating an outcome. The myth says that when you pull a lever you have more chances to win than when you press a button, and this is ridiculous. The idea of button and lever is the same and the RNG does not care what is used to activate the game. MYTH #5:The odds on a machine can be changed while you are playing. FACT:Slot machines are programmed to give out certain paybacks that don't depend on the time you play. No casino can re-program the chip inside the machine while the players are sitting at it. Also, the casinos are constantly checked to avoid fraud and mistakes, therefore you cannot be cheated. 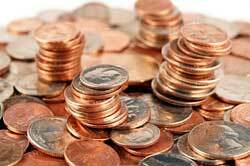 MYTH #6:Playing only one coin per game increases your chances of winning the jackpot. FACT: In most slot games the player must Bet Max to hit progressive jackpot. 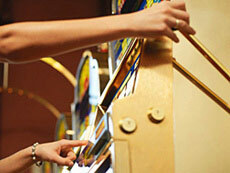 In most cases players cannot win a slots jackpot if they are not playing the maximum number of coins. Before you start playing at a slot machine with a progressive jackpot, learn the game rules, as at most of them to win the biggest prizes only one condition must be met- to Bet Max. MYTH #7:Play warm coins on warm machines and you will win. Some players strongly believe that when you insert warm coins into the slot machine this may somehow change the outcome of the spin in the player's favor. In fact, there is no possible way to influence the odds on a game with the temperature of a coin or the temperature of the machine itself. Remember, the only strategies applicable to slots is to play the maximum amount of coins, check the bankroll and choose the correct machine according to it. All the rest are just myths!